Here is some more information on the latest AMC bankruptcy. How many more is it going to take to get some changes made in the industry? AppraiserLoft screwed hard working appraisers out of $3 Million in unpaid invoices. I have a feeling Evaluation Solutions / ES Appraisal Services is going to double that figure, maybe even triple. They have been screwing appraisers for years now. FROM: Stutsman Thames & Markey, P.A. Our firm has been retained to file a Chapter 7 bankruptcy proceeding for the company. Evaluation Solutions lost its major client earlier this week and was forced to shut down operations. The fact that you are receiving this email means that you are in the system and we are aware of your claim. Once the Chapter 7 case is filed, you will receive a notice and instructions on what to do. A Trustee will be appointed to handle the claims administration process. The company is not able to make payments on any outstanding invoices at this point. This is a very large case. It will take our firm a week or two to get the necessary paperwork together. You should be receiving notice of the bankruptcy by mid to late January. Sorry for the bad news so close to Christmas. I was notified not too long ago from Treasure Valley Factors were no longer factoring their invoices, so it appeared thing were getting worse. If any appraisers have any ideas on how to get paid, please post them below. I know contacting the original lender listed on the appraisal has worked in the past, so you might try that route as well. Make sure to contact the company listed above. – Clearly distinguish between the fees paid to appraisers by Appraisal Management Companies (AMCs) and fees paid by non-AMC clients for residential appraisals. – Capture any difference in fees paid by property type: single family, condominium, size or square footage, or other factors. – Capture the impact on fees by market area or locale: urban vs. rural, (MSAs, county, zip code, etc.). – Determine whether appraiser qualifications (experience, education, specialization) impact fees paid to appraisers. – Determine how far the appraisers travel for an assignment; and if from another state or distant region, how much time they spend gathering the data for the appraisal. 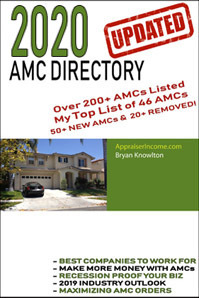 – Determine what fee structure the AMCs offer appraisers for residential appraisals. – Determine whether those fees vary by property type. – Determine if there is a difference in the fees they pay based upon urban, rural or other location factors. – Determine whether AMCs pay differing fees to appraisers based upon their experience. increase in fee is also associated with a greater distance traveled to complete the appraisal. According to 82 percent of the respondents, one factor that would not affect the fee is the property being located in a low cost-of-living area. – Three out of ten or 30 percent respondent appraisers do not complete assignments for Appraisal Management Companies compared to 6 percent who exclusively do. Fortyone percent of respondents complete at least half of their assignments for Appraisal Management Companies; 57 percent complete half or less. Nearly one-fifth (18%) of respondent appraisers complete appraisals exclusively for lenders, individuals, or other non-Appraisal Management Companies. A similar number (15%) do not complete any appraisals for lenders, individuals, or other non-Appraisal Management Companies, with 45 percent completing between 50 and 100 percent, and 52 percent completing between 0 and 50 percent. The majority of respondent appraisers received between $300 to $450 for a residential appraisal from Appraisal Management Companies, compared to receiving $350 to $450 from lenders, individuals, or other non-Appraisal Management Companies. – Ninety-eight percent of Appraisal Management Companies noted that the complexity of the property would cause an increase in the fee followed by 85 percent citing the location being in a rural area and the large size of the property as affecting the fee. An increase in fee is also associated with a greater distance traveled to complete the appraisal. According to 82 percent of the respondents, one factor that would not affect the fee is the property being located in a low cost-of-living area. that would not affect the fee included a property in an urban location (81%), a property in a high cost-of-living area (60%), a property in a low cost-of-living area (79%), a property with many appraisers in the area available to do the appraisal (72%), and an appraiser with greater experience (53%). Few factors would have the impact of decreasing fees, but 11 percent of respondents stated that having many appraisers in the area to do the work would decrease their fee. – According to the respondent AMCs, the most important factors when selecting a residential appraiser were the appraiser’s experience (84%), followed by the previous experience for the company (76%) and the reputation for quality work (73%). Seventytwo percent of appraisers responded that their higher fees are due to refusing to work for less. Two-thirds (66%) stated that more experience was the reason for higher fees. Forty percent responded that having a specialization allows them to charge higher fees. – The vast plurality (42%) of respondent appraisers completed assignments within 50 miles of their city. Sixteen percent complete assignments within 100 miles, while 10 percent complete assignments regardless of their location. – Nearly all respondent appraisers (96%) hold a current license to conduct appraisals in Texas. More than three-fourths (76%) of respondents are male and 21 percent are female (3 percent refused to answer). Eighty-five percent of the respondents are white (including those of Hispanic origin). Five percent of the respondents are of Hispanic origin and 2 percent are African American. Fifty-three percent of the respondent appraisers have completed a bachelor’s degree, with 13 percent achieving a master’s degree and 2 percent completing a professional or doctorate degree. U.S. Department of Housing and Urban Development will sell at least 40,000 distressed loans over the next year, generally in quarterly sales, in an effort to reduce total claims, cost and increase recovery on losses to the Federal Housing Administration Mutual Mortgage Insurance Fund. The results of which, when considered by FHA independent actuary, should yield an estimate of an additional $1 billion in economic value to FHA’s Mutual Mortgage Insurance Fund in fiscal year 2013 alone by significantly reducing the expected severity of losses on loans sold through the program. This company contacted me the other day stating they have an immediate need for appraisers. If you have any experience with this company, please leave comments below. If you want to give them a try, please follow the link below to register. Nations Valuation Services is a nationwide appraisal management company established in 1992. Currently, our client base is growing at a rapid rate and because of this we are looking to expand our network of panel appraisers. We’re closing out over 15,000 assignments monthly and looking to share the wealth with you. We are looking for efficient, experienced, knowledgeable appraisers. 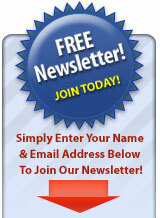 Click here to go to our signup web site. Please have PDF copies of your license, E&O, and 2011 W-9 ready. The Office of Real Estate Appraisers (OREA) receives ongoing inquires from our licensee’s with questions regarding whether or not they can develop an opinion of value by doing Broker Price Opinions (BPO), desktop reconciliation of values, or a variety of other kinds of alternative and/or preliminary valuation reports. The answer to these questions can be found in the Uniform Standards of Professional Appraisal Practice(USPAP) and Title 10 of The California Code of Regulations. Therefore, when developing an opinion of value, regardless of the reporting format (BPO, Reconciliation of Value, etc. ), an appraisal is being performed. Title 10 of the California Code of Regulations, Section 3701, specifically requires that every holder of a license shall conform to and observe the Uniform Standards of Professional Appraisal Practice (USPAP). Anytime an opinion of value for real property is reported by an appraiser licensed by the State of California, that appraisal must comply with USPAP! Therefore, prior to accepting any assignment, regardless of the format in which the opinion of value is provided, the appraiser must familiarize themselves with the applicable portions of USPAP and develop, report, and maintain records according to the applicable USPAP rules and standards. Furthermore, if you are a registered Appraisal Management Company (AMC), Title 10 of the California Code of Regulations, Section 3577, requires that AMC’s must adopt reasonable procedures designed to ensure that all appraisal assignments completed by its independent contractor or employee appraisers are performed in accordance with USPAP. Although, delivering a USPAP compliant report is ultimately the responsibility of the appraiser, an AMC must be cautious about ordering valuation products that are not USPAP compliant. The business model of the appraisal industry continues to change and new valuation products are, and will continue to be developed and requested in lieu of USPAP compliant appraisals. A California State licensed appraiser, when acting as an appraiser, is required to comply with USPAP. In some cases supplementing the requested reporting forms will be required to be in compliance with USPAP. In other cases, when compliance with USPAP is not possible, turning down the assignment maybe the only option. Remember-forms are not always USPAP compliant, however, USPAP compliance is always a repurement for a licensed appraiser the appraiser is! San Antonio – Appraiser Marketing Event of the Year! Don’t miss what’s being called the appraisers “Marketing Event of the Year” being held in San Antonio, TX at the Marriott Rivercenter, Thursday, Nov 8th from 6:30-8:00 pm on the 3rd Floor in Conference rooms 3/4. * How to Find More Time, Make More Money and Have More Freedom in Your Life! Appraisers today are struggling with a variety of issues such as the ones above. That may or may not be you, but if you are one of the appraisers who knows that you’re capable of achieving more, or you simply need help reaching the next level in your business don’t miss this event! We’ve already helped hundreds of appraisers across the country grow their businesses and at this event we’ll show you how to do the same as we have the solutions to the challenges you’re facing. Seat are filling up fast so make sure you Pre-Register by going to www.AppraisersClub.com/Expo to guarantee your spot.. Also for the first 25 who pre-register and show up we’ll provide you with your very own custom video made specifically for your business in addition to several other bonus items. At this event we’re also going to have a lot of fun including raffling off some great prizes including a Free Custom Website, Custom Videos, $100 Gas Card and more. So once again make sure to guarantee your spot by going to www.AppraisersClub.com/Expo and we’ll look forward in seeing you there! My Daughter Summer and Wife Christie are participating in the 16th annual Susan G. Komen San Diego Race for the Cure® and we are asking for your help to reach my goal. Komen San Diego works hard to provide education, screening and treatment that saves lives in our communities. Now is the time to help. Komen San Diego needs your help. By providing funds to Komen for the Cure, you can be a part of their promise to end breast cancer forever. NEW YORK – Attorney General Eric T. Schneiderman today announced a $7.8 million settlement with eAppraiseIT, formerly one of the nation’s largest real estate appraisal management companies and its parent corporation, First American Corporation, for colluding with savings and loan giant Washington Mutual to inflate the values of homes. Today’s settlement resolves charges that the corporation violated appraiser independence laws, which regulate the conduct of real estate appraisers. The Attorney General’s office originally filed a complaint against First American and eAppraiseIT, a company that performed over 260,000 appraisals nationally for Washington Mutual, Inc. (WaMu). The complaint charged that WaMu pressured eAppraiseIT to allow WaMu’s loan officers to select property appraisers for WaMu-originated mortgages. This was a clear violation of the Uniform Standards of Professional Appraisal Practice (USPAP) and federal and state law. This practice led to inflated property valuations and enabled WaMu to originate a greater number of mortgages than would have been possible had appraisals been performed by fully independent appraisers. Appraisal management companies are required to provide a buffer between bank loan staff and individual appraisers to eliminate pressure or conflicts of interest. From early 2006 through late 2007, eAppraiseIT conducted some 10,000 appraisals for WaMu in New York. Thousands of these appraisals were conducted by appraisers who had been hand-selected by WaMu staff for a “proven appraiser list” with the expectation these appraisers would inflate property valuations, thereby allowing more home loans to close at higher values. eAppraiseIT also permitted WaMu loan officers to submit multiple reconsiderations of value, known in the industry as “ROVs,” often without any evidence of error or substantiation that would support WaMu’s efforts to increase the property values above the initial appraisal. First American sought to have the case dismissed, arguing all the way to the New York Court of Appeals that New York’s action was preempted by federal law. The Court of Appeals rejected these arguments and held that federal law did not preempt the Attorney General’s claims for fraudulent and deceptive appraisal practices, noting that the federal law explicitly envisions a cooperative effort between federal and state authorities to ensure that real estate appraisal reports are objective and independent and comply with industry standards. The United States Supreme Court denied First American’s petition to hear the case. This past June, the case proceeded to trial before Justice Charles Ramos of the New York Supreme Court. Witnesses presented by Attorney General Schneiderman included appraisers who testified that they stopped getting WaMu eAppraiseIT assignments despite years of satisfactory work, only to later discover they had been removed from the “proven appraiser list” because they refused to provide the values that would satisfy WaMu’s loan officers. Evidence introduced at trial included a 2007 email from a former WaMu sales office employee, stating, “The appraisal list that eAppraiseIT … is using has been totally scrubbed. But instead of keeping good appraisers, they went for the BADddd ones.” The Attorney General also produced expert testimony that First American’s appraisals were generally higher than would have been expected when using independent benchmarks of value for such properties. At FREA, we provide risk management services for thousands of appraisers and we’ve been doing so for roughly 20 years. In that time, we have seen a lot of strange and unusual happenings, but this one may take the cake. From what we have been able to learn so far, the Mortgage Recovery Law Group (“MRLG”) is a group of gunslinger lawyers from Glendale, CA hired by the FDIC to intimidate, browbeat, annoy, and generally harass appraisers with E&O insurance until they get paid something to go away. Officially, the MRLG is “helping” the FDIC recover money from people who caused the subprime mortgage meltdown, the failure of numerous banks, and the resulting drop in real estate values all over the U.S…. and we all know it was the appraisers who caused this. In truth, this is yet another example of the government (aka Big Brother) hammering the little guy for something very minor while giving the real culprits (Wall Street, bank executives, etc) a free pass. The MRLG is the private firm purportedly hired by the FDIC to help pursue evil wrongdoers in the name of truth, justice, and the American way. However, what is actually happening is shocking. If the FDIC finds someone who did something terribly wrong after a bank is taken over, you would expect them to attack the wrongdoers. Unfortunately, your assumption would be incorrect most of the time. You see, no matter how bad the acts of the wrongdoer, the MRLG won’t sue them to recover anything unless they have insurance. On the other hand, if you simply did an appraisal for XYZ Mortgage, then XYZ sold the loan to a bank that failed, then the FDIC took over the bank’s assets, then the FDIC discovered the homeowners stopped paying the mortgage, and then the house sold at foreclosure for less than the loan amount. You are almost certainly going to get sued if you have E&O insurance. How, you ask? Well, the FDIC will turn this loss over to the MRLG, and the MRLG will have the FDIC issue and sign what is known as a subpoena duces tecum which orders you to send the MRLG everything in your appraisal file plus a copy of your E&O policy. It’s a pretty scary document which recites several ominous provisions of the U.S. Code and is generally designed to frighten you into cooperating, It may also be one of the biggest abuses of government power since the McCarthy hearings. Of course, your own cooperation actually ends up helping the MRLG build a case against you, a case which is totally dependent on whether you have E&O insurance. If you do, you get sued and if you don’t, you walk away. If you get sued, the MRLG asks for the sun, the moon, the stars, and lots of money, but all they really want is for your E&O insurer to calculate that it’s cheaper to settle than to try the case. In other words, all the MRLG is looking for is what we in the legal profession call a nuisance settlement. Simply put, if you are annoying enough, someone will pay you to go away. Is this all legal? Maybe it is, but maybe it is not. Is this ethical? Maybe it is, but maybe it is not. Is this going to help the real estate market recover? Absolutely not! By targeting the appraisers instead of the bank executives or Wall Street gurus or Congressional morons who really caused the collapse, the FDIC is extending the downturn unnecessarily. The E&O carriers who pay these nuisance settlements have to raise their rates to cover the losses, the appraisers who are getting sued over an appraisal they did 5 years ago are afraid the values in the appraisals they are doing today will get them sued again in another 5 years, so they are being ultra-conservative, and the FDIC ends up paying a big chunk of the money collected to the lawyers at the MRLG. In the end, nobody wins except the real bad guys who took their money and ran far, far away. If your Risk Manager and/or E&O Provider isn’t working to protect you this way, maybe you need to think about a switch. At FREA, we’ve got your back!